October 23, 2009 by Cary H.
Silhouette of Mary Pleasants. Notice Sansom's added touches, the extra shading and the caption. 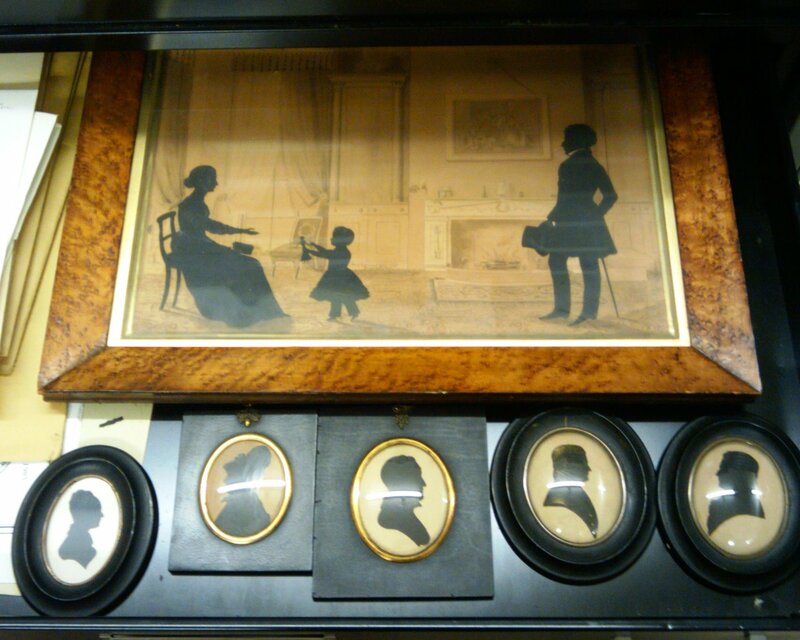 Along with Sansom’s painted silhouettes, there are also cut-out silhouettes from Peale’s Museum (formerly a natural history museum in Philadelphia that was set up by naturalist and painter Charles Willson Peale). The cut-out silhouettes are wonderfully detailed and precise. They were made on a physiognotrace machine that Peale purchased in 1802. One of Peale’s workers, Moses Wilson, was eventually placed in charge of the machine and, with exacting detail, cut out many of the silhouettes himself. 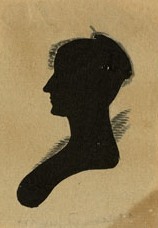 Silhouette of David Rittenhouse. Paper cut-out backed with black paper. 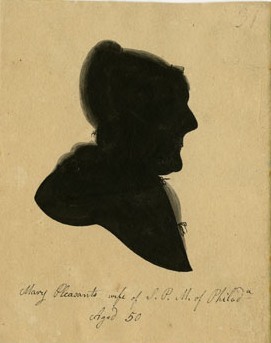 Silhouette of Mary Runyon. Paper cut-out backed with black linen. 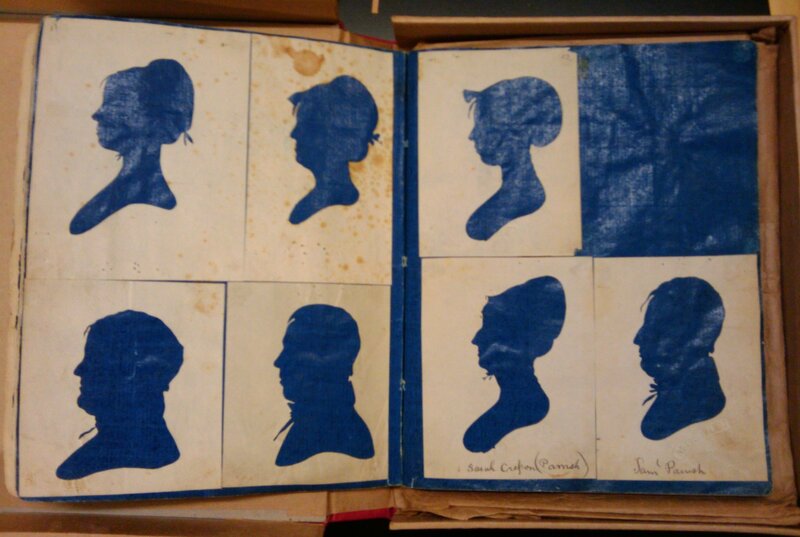 HSP’s set of silhouettes (Collection V87) from Samson, Peale’s Museum, and other collections includes a wide variety of items. There are silhouettes of the famous (George Washington, Thomas Jefferson) and the not-as-famous. There are quarter, half, and full profiles. Some silhouettes have added details and some are mounted and framed. There are also elaborate paper cuts that are works of art in their own rights. Most silhouettes are identified and many remain anonymous. 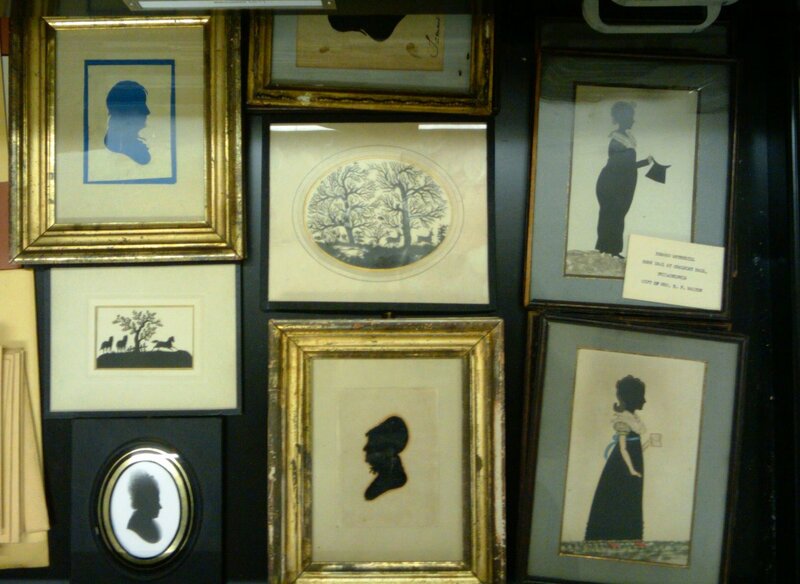 Most of the identified silhouettes are listed HSP’s graphics card catalog, but we hope to create a finding aid for this collection in the future.